Guitar Virtuoso, Acclaimed Touring Musician and Vocalist Maurice Pringle Returns With New Website MauricePringle.com; YouTube Sensation Announces New Brand Partnership, Features and Video Projects to Follow His Hit Online Product Demo Series. NEWARK, NJ – Accomplished guitarist Maurice Pringle has announced the launch of a new website, MauricePringle.com, to showcase a growing collection of product demos and featured live performances alongside the wide range of artists he supports. 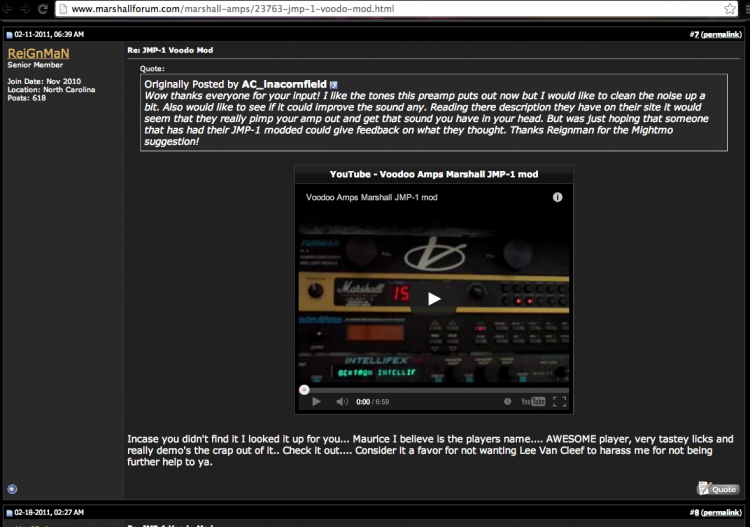 Maurice already boasts YouTube viewers numbering in the hundreds of thousands, and endorsements including music companies like Simple Amps, for whom he has toured and performed clinics throughout the U.S.
A rock and blues virtuoso, Maurice launched his YouTube channel playing and demonstrating new lines of music gear, quickly garnering attention for his knowledge and extraordinary musicianship. He has now announced an upcoming brand relationship with Indigo Amps, adding to several existing sponsorships and endorsements. Also revealed are plans for all-new YouTube product demos as well as feature interviews, including the premiere of “The Lady Wisdom Talk Show” this summer, hosted by Lady Wisdom of “The Word Up Show”. There, he will appear with both a live performance and sit down interview discussing his storied career, the first of many new avenues of exposure that have opened for the performer. “I’m also happy to have a central place for the audience to see my videos, news as well as performances that I do with different artists… I’m a working musician so it’s great to show that,” he says of the new website, which was designed by Indavisual Media LLC. The agency has also represented the guitarist since 2010. Maurice Pringle has been the quintessential musician for the past twenty years. He has not only worked closely with renowned players and artists, but has toured the world astonishing audiences with his talents and earning the respect of his peers. Pringle was even bestowed with the annual title “King of Blues” by Guitar Center of Springfield, NJ in 2009, a fitting title he plans to continue to fulfill in 2014. For sponsorship and product placement inquiries, contact info@mauricepringle.com. Welcome to the all-new MauricePringle.com! Thanks for taking a look, and please keep up with me by subscribing to my YouTube channel and Facebook page. If you’d like to get in touch, please send all inquiries via the Contact page. I have a lot of great things in store, and I’m excited to add Knucklehead Strings to my list sponsors. I’ve also had the privilege of working with a great list of artists, including: Alvin and the 1015, Katrina Kapoor, Celebration Club, Dana Byrd, Cheek Bone, Amandla Turner, Diamond in Jupiter, Sheldon Goode. Check it out… Click here to read the full thread. Maurice Pringle, a musician’s musician, is the kind of artist that doesn’t need millions of people picking up his albums – he knows he has the respect and admiration of not just his peers, but folks who really get the blues (and remarkable guitar ability). Pringle has been in the business for some time, playing with some of the best Blues has to offer and backing up some huge acts in the process. Pringle describes his sound as “power blues”. It’s a “mixture of the soulfulness of the past with the passion of the present. My cultural connection and deep appreciation and respect for the artists that came before me makes me stand out over other in this genre.” Not only that… but this guy can play! Check out his YouTube videos for a few minutes of proof! And don’t forget to check out Maurice’s MySpace page – you’ll hear more of what the man is talking about. Finally (and understandably so), he’s gotten some recognition from some musical companies (such as Simple Amps), so you’ll see him out in support. There’s more below, so keep reading for the answers to the XXQ’s. Maurice Pringle (MP): I would describe my sound as power blues. A mixture of the soulfulness of the past with the passion of the present. My cultural connection and deep appreciation and respect for the artists that came before me makes me stand out over other in this genre. PEV: How did you first get started in music? MP: When I was 14, I got a job at a music store named Rondo Music, in New Jersey. It was a staple for many local musicians. For a 14 year, it was a crash course on a musician’s life. Though my experiences there, I learned from many great musicians and it forged me into the musician I am today. PEV: What can fans expect from a live Maurice Pringle show? MP: Really, only the audience. PEV: What is your creative process like when you sit down to work on a song? MP: A song usually starts out with a guitar riff or a melody. My lyrics are reflective of what’s deepest and closest to my heart. MP: The best ideas for a song comes from living life itself. People are great inspirations. MP: Of course I do. If you don’t know where you’ve been, you won’t know where you’re going. PEV: Was there a certain point in your life when you knew that music was going to be a career for you? MP: When I was 13 years old, at a family cookout, my sister’s babysitter hired an old blues man to play sing and play guitar. I remember he had a beat up 5 string guitar and played with slide. I stood in front of that old man all day. I knew then, that’s what I wanted to do. See, it wasn’t about the gear, it was about the music. The sorrow and love in his voice. The way he made that beat up guitar wail and moan. I knew then that I wanted to spend the rest of my life making people feel, the way that old man make me and my family feel that night. PEV: What one word best describes Maurice Pringle? PEV: How is life for you in the music world? Best and worst parts? MP: It’s a hard life. People can make your dreams come true are they can your life a nightmare. You have to love the music and love being a musician. MP: I would love to tour New Orleans or Mississippi. MP: My friends and family have been extremely supportive. MP: I love performing Martial Arts and cooking is a great passion of mine. MP: Of course I would love to work with Jimi Hendrix. What guitarist wouldn’t? PEV: If you weren’t playing music now what do you think each of you would be your career? PEV: So, what is next for Maurice Pringle? MP: I’m promoting companies that I was blessed to get support from. I want to tour and collaborate with musicians around the world. Hopefully, I’ll be performing in the spring in Shanghai, with Carlton J.